Korean Red Ginseng is the representative of the special products in Korea, where the soil and whether are the best for 4~6 years growing Ginseng. That is one of main reasons it is well known Korean Ginseng is the best in the medical effects (Saponin) and efficacies over the world for its 1,000 years history of know-how and care. 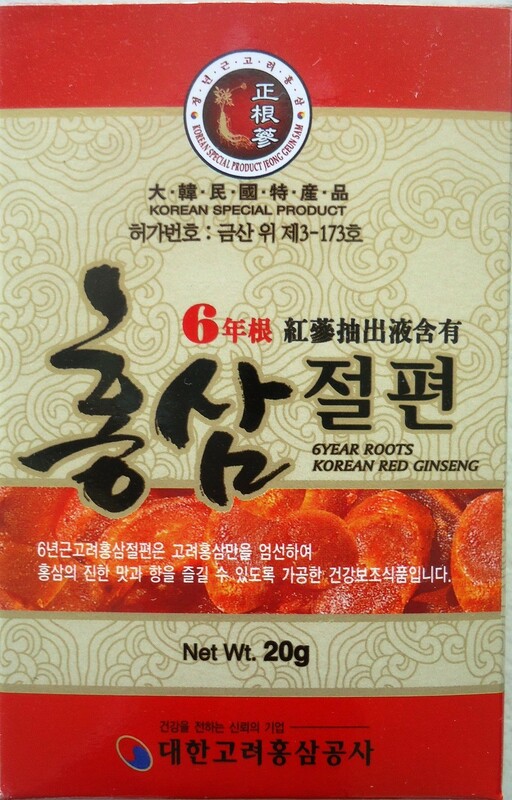 "Red-GSRG" is a high class product made by cutting fresh ginseng in its original form into slices and marinating the slices in honey so that it can be kept for a long time and taken conveniently. Take 1 to 2 slices per day and recommended to drink after soaking in boiling in water.